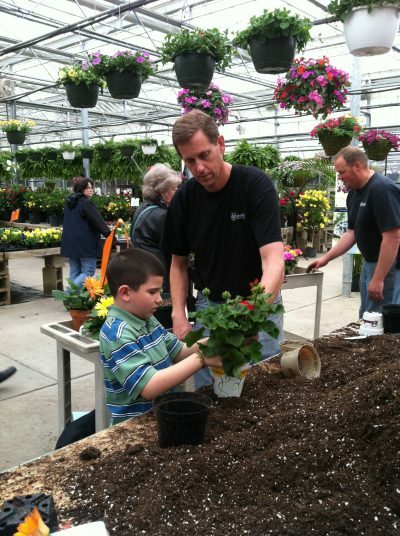 Plan now to visit Donahues’ Greenhouse this Spring. 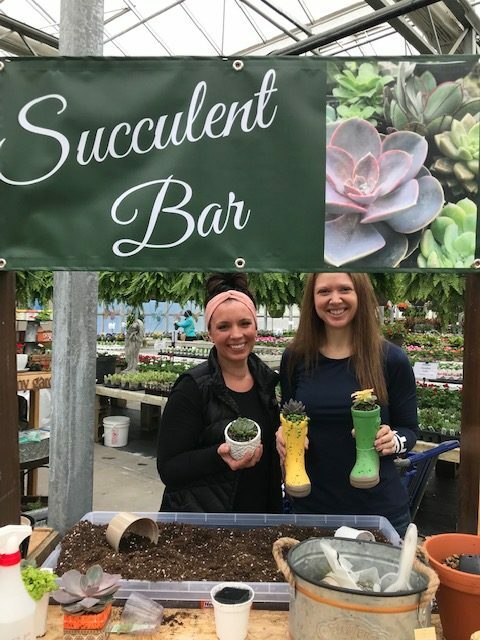 What fun the Succulent bar has brought to our store. Customers are enjoying creating their own containers and getting their hands dirty. 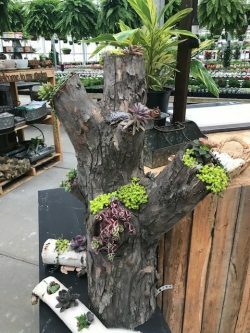 We have an area set up that you can plant up a container of succulents. We have so many different succulents. 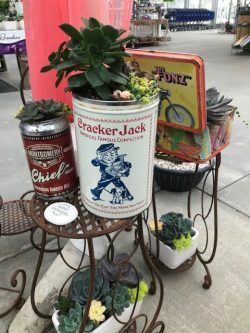 Bring in a unique container or select one of ours, then get creative! Succulents grow well in the house so you can enjoy this container in the house and move outside in a few weeks. Available for limited time! The Bar will close April 22nd! For three days each year we have so much fun putting together custom containers for our customers. We get our whole crew involved! 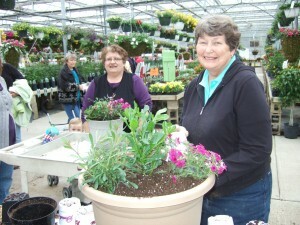 Even Lois Donahue loves to come in and pot for a few hours each day. It’s really quite simple, just bring in your own container or purchase one of ours. 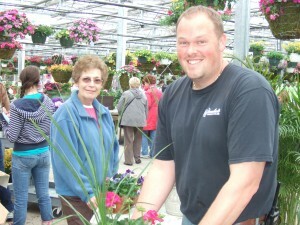 We have a limit of 2 pots per person (so bring your spouse, then you can have 4 pots planted). 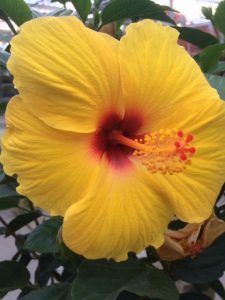 One of our staff will find out where the container will be grown, what colors you like and what kind of look you want to create. 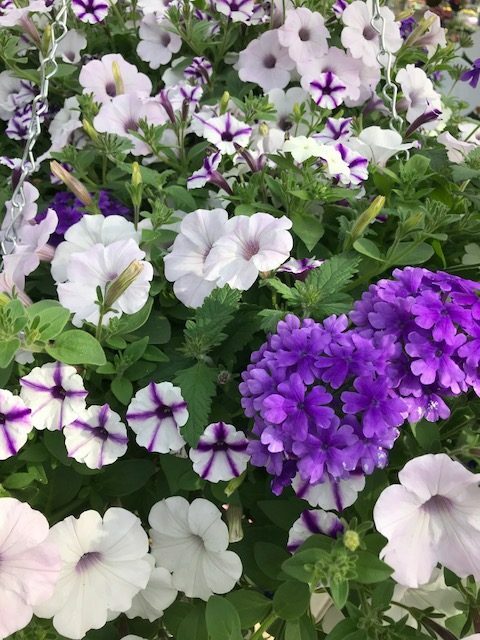 To help with all these decisions, we have benches set up with pots already planted and flourishing and these will help to give you some inspiration. 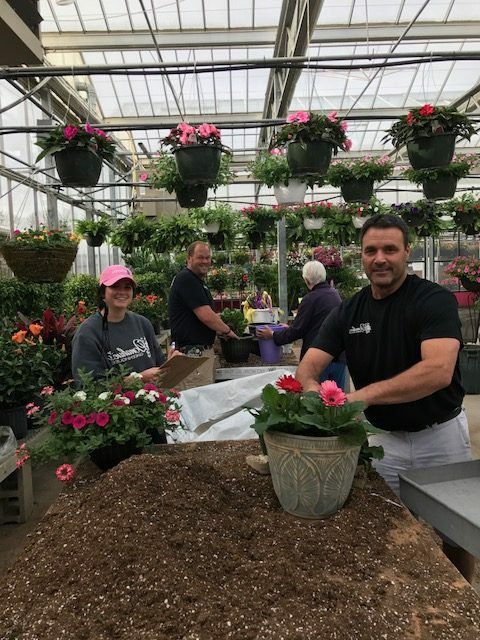 Once you have an idea our staff will recommend the right number of plants and then one of our staff will plant the container for you. 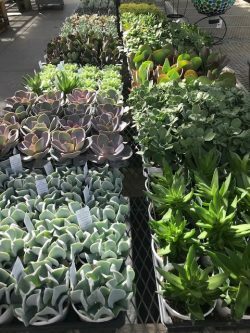 The best part about our ‘Potting Days’ is you pay only for the plants! Expert advice, potting and potting soil are Free! 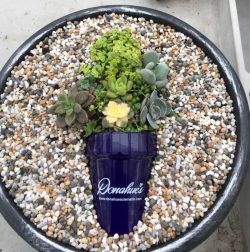 By participating in our Potting Days you will also be registered for a $50 Donahue’s gift certificate. Along with all the fun potting we also have refreshments all three days! Register for some great prizes that we will be giving away. Meet your mother, sisters and friends for a fun day at Donahue’s. This is one of those events that becomes a yearly tradition for many families. Our family business is celebrating another year of growing plants and our families in Faribault. We hope you will join us in our celebration! Donahues’ Greenhouse is located just 50 miles south of Minneapolis. This quick drive is well worth it. When you walk in our doors you are treated to the most stunning sight! 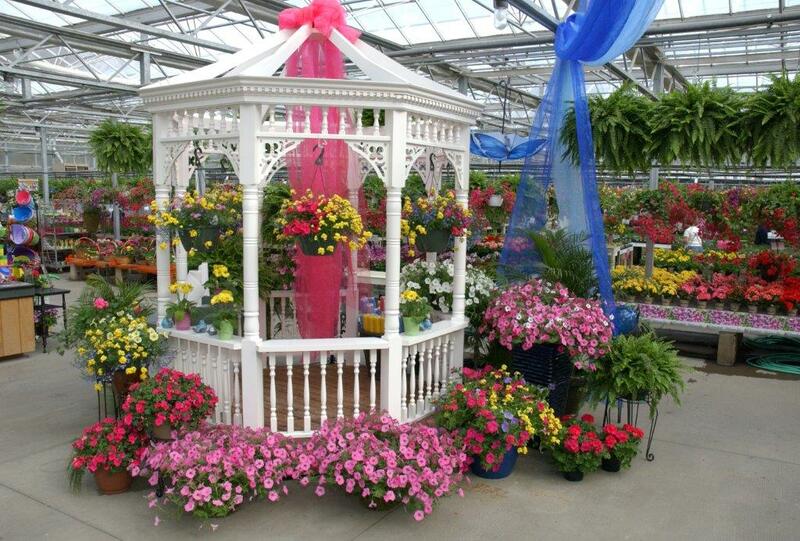 You will find the most beautiful selection of hanging baskets and mixed pots. We try lots of different combinations for a truly unique selection. 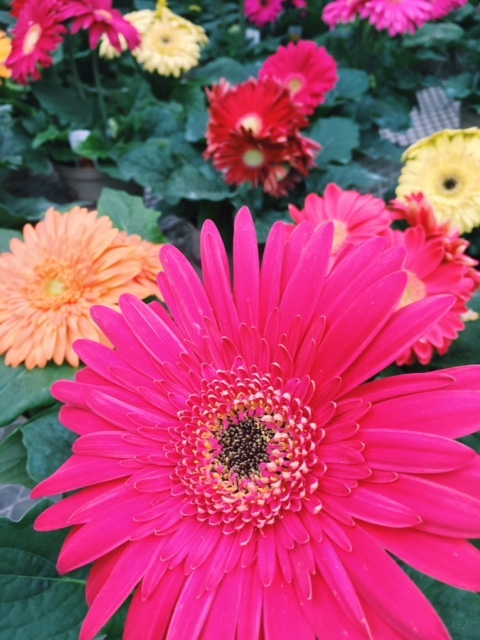 We also have a great selection of potted plants like begonias, Gerbera daisies, hibiscus and more. 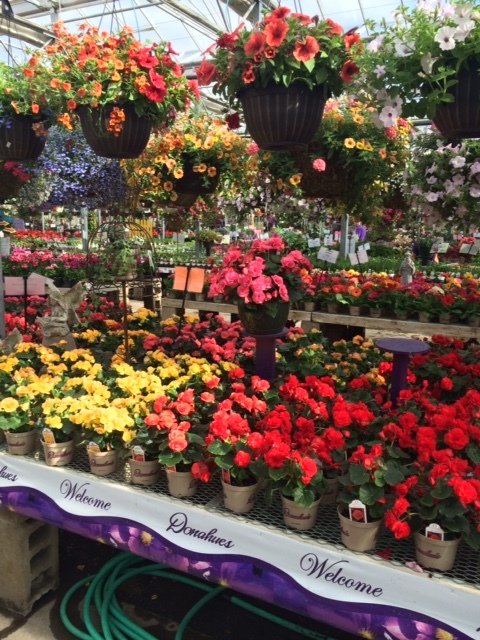 Donahues Greenhouse also grows a great assortment of ‘Proven Winner’ plants. 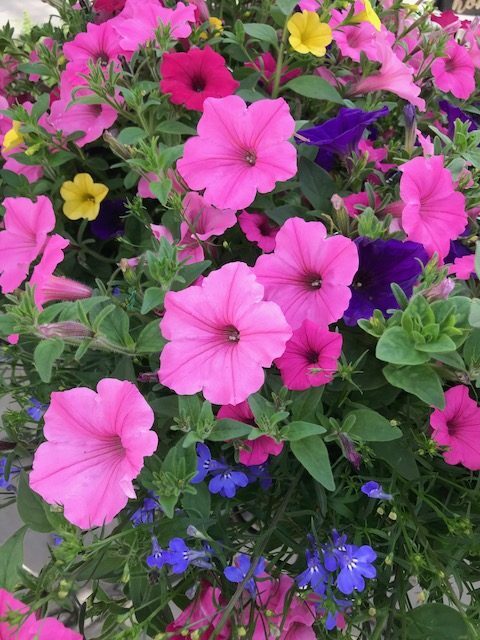 We grow over 25 varieties of Supertunias, including the famous ‘Vista Bubblegum’*! We also grow 20 different varieties of Superbells including the 2018 introduction, Superbells ‘Rising Star’*. 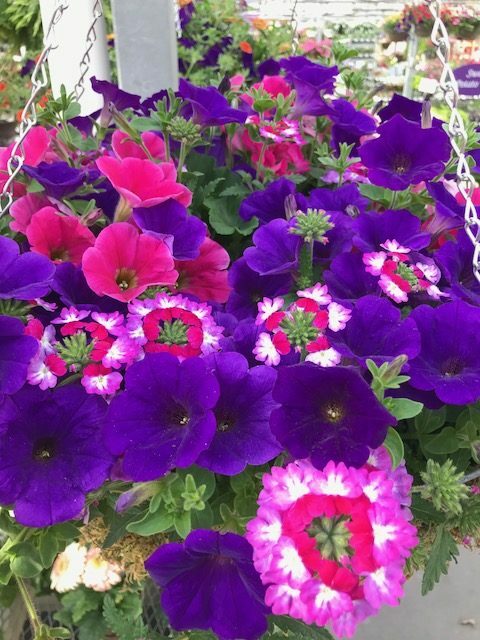 We find ‘Proven Winner’ plants are great in hanging baskets, window boxes, containers and grown in landscapes. 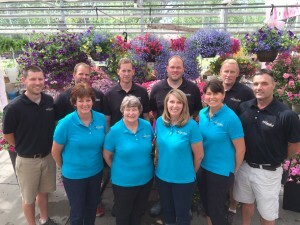 We have a very knowledgeable staff that are happy to help you find just the right plants for any location. Check out our wonderful display of ‘Proven Winners’! 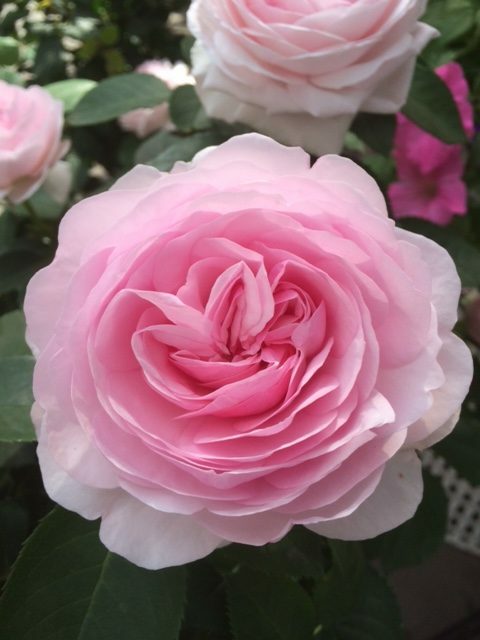 Roses, Roses, Roses…….We have an awesome display of roses. 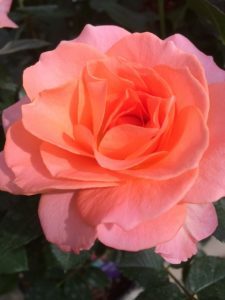 We carry Knock Out, Teas, Floribundas, Miniatures, Climbers, Shrub Roses and more. 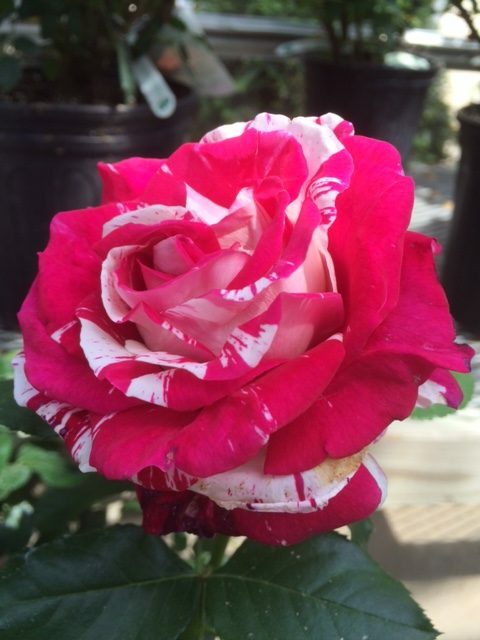 Many of our roses are in bloom during the month of May so take some time to stop at Donahues’ and smell the roses. 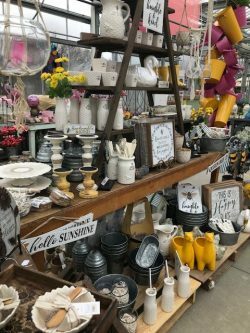 If you are looking for items to update your home both inside and out, we have a great selection of home decor items along with yard decorations. Right now our selection is amazing and you’ll find something for everyone. This is a great area to shop for friend’s gifts even if you are just looking for a small item to remind them our your friendship. 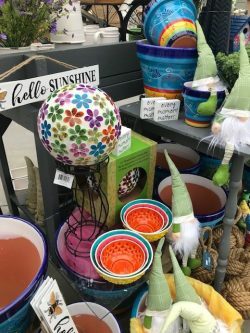 We have beautiful pottery and yard ornaments that are unique. 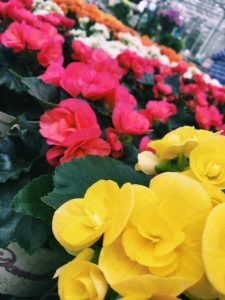 We carry a good selection of vegetables for your garden. We carry tomatoes, peppers, eggplant, cucumber starters, melons, zuchini and more. We also carry herbs for your very own herb pot. 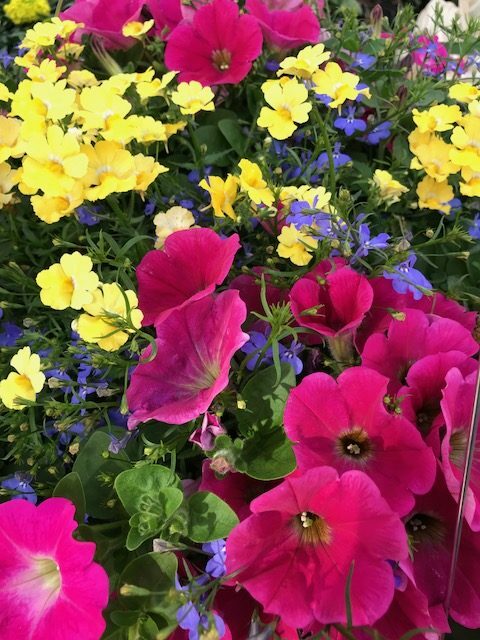 Try growing basil, rosemary, thyme and mint in a pot that can be cut all summer for fresh taste! We are the clematis specialist! 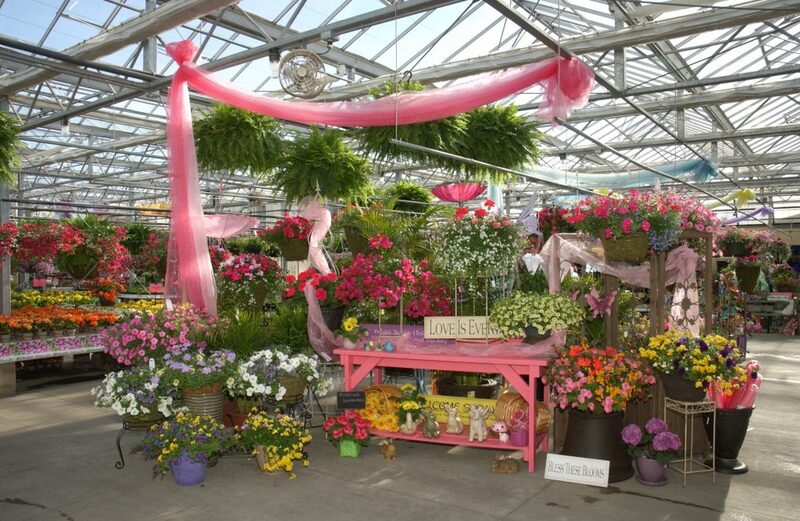 In our store you will find over 120 different varieties of clematis. We have clematis of different heights, bloom time, light requirements, colors and so much more. If you have any questions on planting or growing clematis our staff can help! These are just a few of the reasons Donahues Greenhouse is a destination garden center. We offer great plants at a great price! Buy direct from the grower and save every day at Donahues’ Greenhouse! 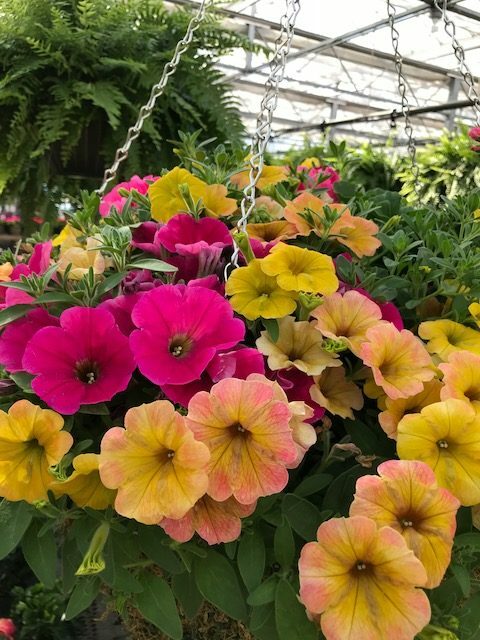 *Donahues Greenhouse grows all their own plants so be sure to check on availability for a specific plant variety as this changes as the season goes. 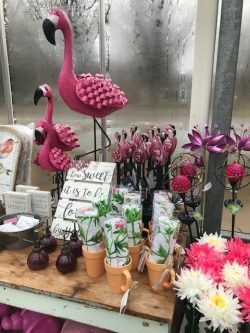 When we sell all that we have grown of a plant we are out for the season. 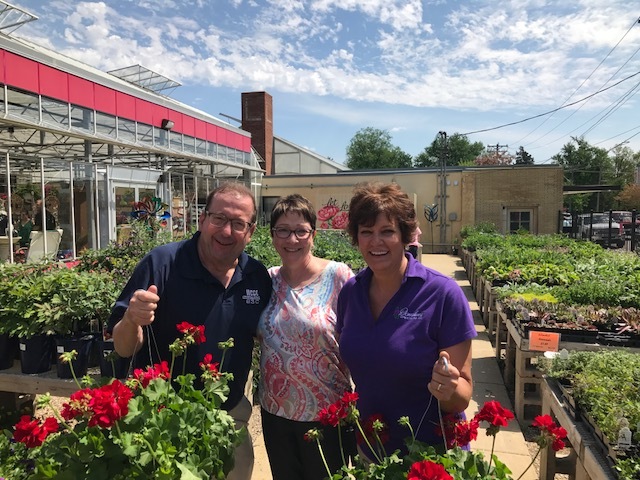 Our WCCO spokesperson, Mike Lynch always visits Donahues a couple times during the spring season. He has made it a tradition to come down to Faribault on Mother’s Day. This year we grabbed a quick picture of Mike and his wife, Cathy and Kathy Donahue Nass. We love when Mike visits!